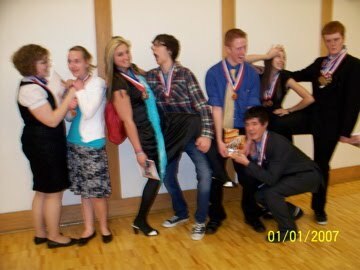 what a silly group of kids! ready for the scholastic super quiz!! Go Whit. Turner Whit and Taylor studying. 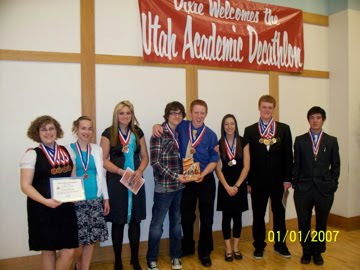 Whitney was on the school's academic decathalon team this year. 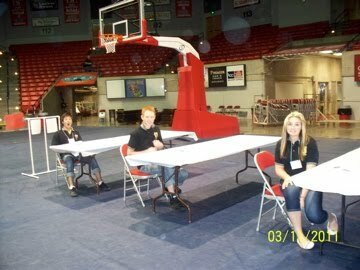 They competed in the state competiton in St. george in Febuary. 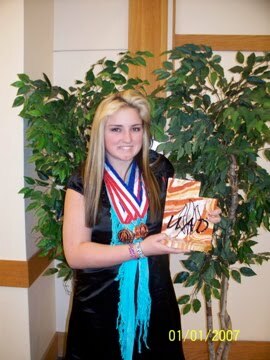 She did really good 3rd in social science and economics, 2nd on super quiz and 4th in interview & the school got 4th. My how fast the time flys by. It seems as though a year or two ago I gave birth to a chubby 10#13oz baby. It seems like not that much time has passed since she told the bus driver to drop her off at her grandma's after her first day of kindergarten. I remember it like it was yesterday when she was baptized. When did enough time pass for her to be 16? I can remember when I turned 16. Whitney is such a strong willed, good kid. I don't know that it's because of me, but she has turned into a great teenager. I hope she keeps it up and becomes a great young woman! Love you Whit! 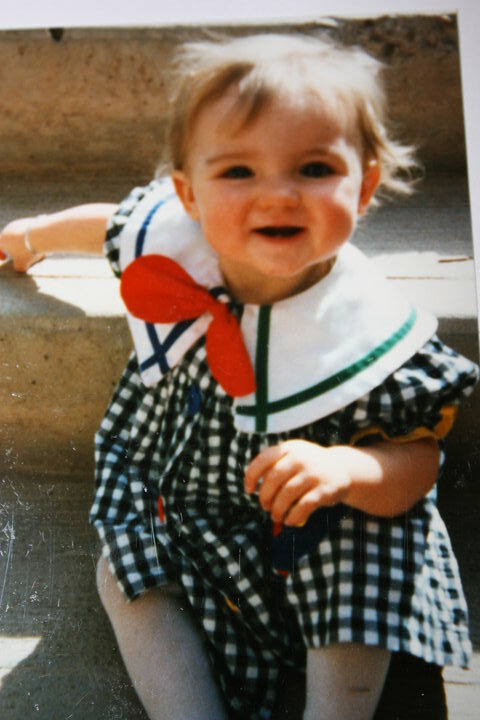 Can't believe this girl is 16. I am mom to 5 crazy wonderful kids. They keep me busy with running them places, piles of laundry, cooking, cleaning and just spending time together. I love to scrapbook, and try to fit in a basketball game or volleybal game when I can. I also enjoy running. I will run in the wasatch back for the fourth time this summer, and am planning on a full and a couple half marathons this year. Jeff helps out with the kids whenever he can. His schedule keeps him pretty busy. He works for Bill Barrett and on his days off spends lots of time farming our little farm. Questival Anchorage! and Wendi is visiting! What Will You Be in 2015? Great way to save money! Earn cash back while you shop online! !